Train2Game Student Studio, Commando Kiwi, the winners of the 2012 Make Something Unreal Live competition are back and under new management! 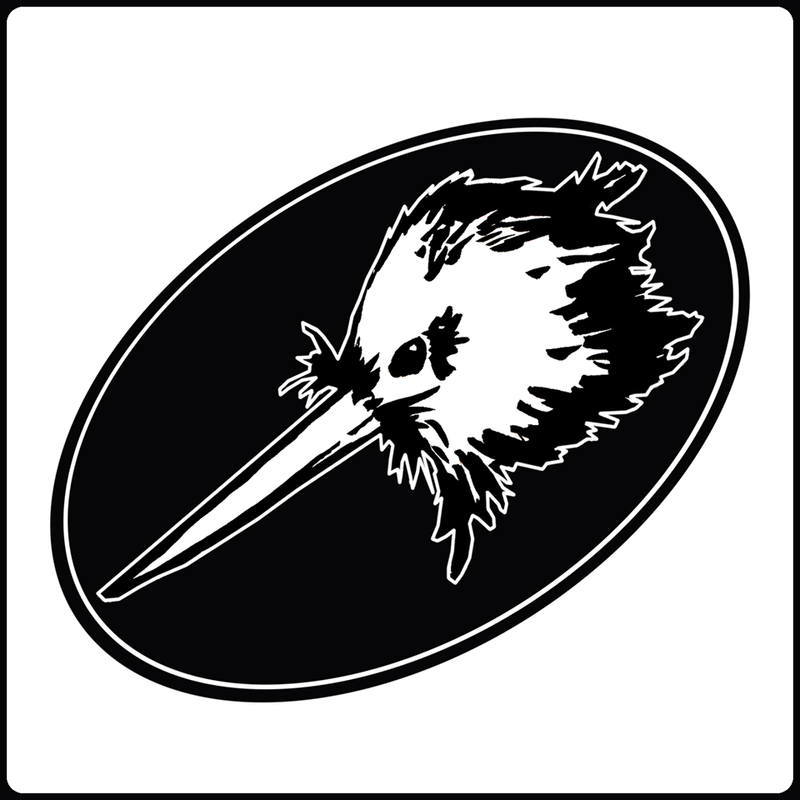 Train2Game Student Adam Sherratt is now the head of Commando Kiwi and they have been working hard since we last heard from them. After deciding that the project they had started following the Make Something Unreal Live contest was slightly more ambitious than they first anticipated they made the executive decision to start a new IP using the framework they had already created for there winning game at MSUL. However, with life getting in the way, a few of the original Commando Kiwi members left on to new ventures which left the team struggling until Adam came up with a plan to revitalise the studio. Several of the team volunteered to be mentors at the recent Train2Game Game Jam which put them in excellent position to scout for new team members. The studio was back up to eight members and ready to get to work on their next game. Now the next stage for Commando Kiwi is they will be displaying their game at Appsworld and Platform Expo this year to spread the word and receive feedback from the public to make the game as best as it can be. So if you are attending either event go and say hello and give them your support! The studio is intending to start a Kickstarter campaign in the future as currently everything they are doing is having to come out of their own pockets and they want this game to be the best that it can be. The second quarter of 2012 was especially good for me as it was in April that The Gadget Show live was held. The Make Something Unreal Live was possibly the biggest thing Train2Game had done up to that point. It brought much media coverage and gave the students involved a highly valuable experience. The event started in November of 2011 following a Train2Game Game Jam which was sponsored by Epic. The top 4 teams from there then had 6 months to create a game which was to be released on the iOS store. 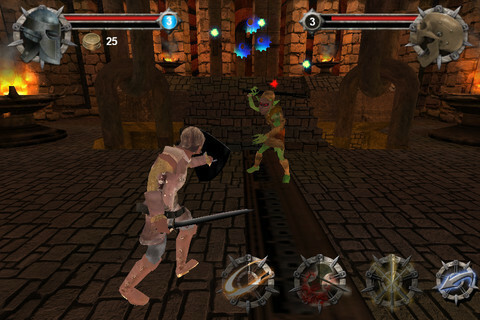 The games that were created were based on the Fighting Fantasy books. This gave the teams more time as it took story creation out of the equation and it already had an existing fan base to work from. 2012 has been a good year for Train2Game and the students and I am going to take you through some of the best bits. At the end of January some Train2Game students entered a game jam in Scotland. The Scottish Game Jam is part of Global Game Jam 2012 and at the event Train2Game Art & Animation students Fiona Stewart and Corinna Bruce were winners of the Best Art Award at the Scottish Game Jam. It was at this jam where the game Shplem was created and nominated for a BAFTA award. 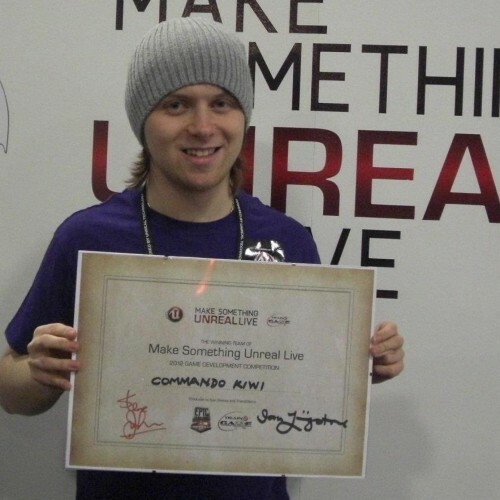 The first quarter of the year was also the run up to the Make Something Unreal Live competition. Four student studios: Commando Kiwi, Derp Studios, Digital Mage and Indigo Jam were working hard trying to get together their games which were based on the Fighting Fantasy books which would be displayed at The Gadget Show live in April. It is a time I remember well as I was a proud member of Digital Mage and it was one of the greatest times of my life. Possibly the most important part of early 2012 was the government announcing that they would implement the Games Tax Relief. Just the mere announcement of this has seen the games industry grow to new heights. Chris Ledger spoke to me about the rise of Derp Studios and having their game released on the app store. 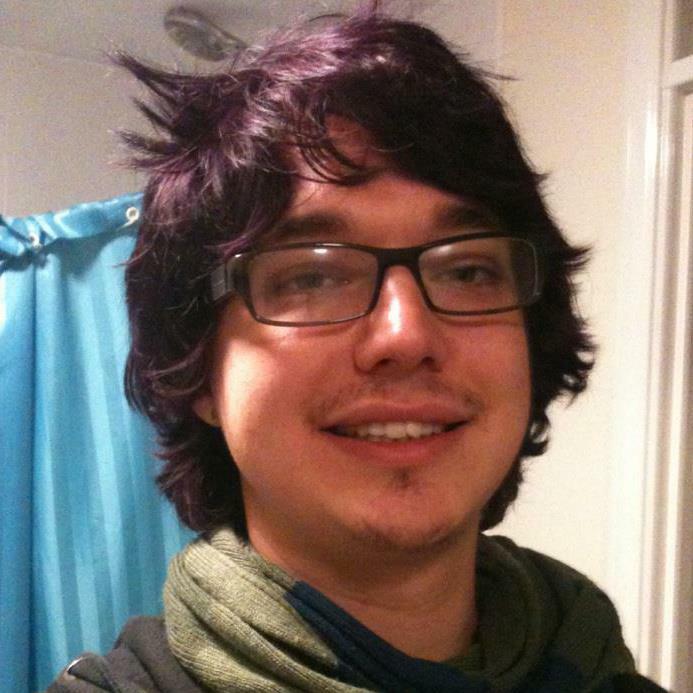 Hey I’m Chris Ledger, I’m on the Train2Game Designer course and I live in Cheltenham, Gloucestershire. What’s your story? What are the past experiences that have shaped your life to who you are today? The Train2Game design course even in its early stages did. I managed to do a few Portfolio Pieces, A High Concept Document and other working style documents. I managed to show that to a small iPhone developer and my first project that I worked on was licensed. The second one was the Game Jam in 2011, which was hosted by Train2Game and Epic Games. I was chosen as an individual to make the fourth team to go on to Make Something Unreal Live where we worked on a project which used the Fighting Fantasy license. The company, Derp Studios, which was The Gadget Show Live Team, just released their first title, Dire Consequences on the iOS store. The game, it’s a first person action game. It’s a wave game for iOS and you can buy optional spells, the more enemies you defeat you get souls. You can use the souls to get spells to help you through the waves. That’s the gist of it really. At one point, I nicknamed it horde with swords because it’s a wave mode like Gears so I thought horde with swords was the best way to describe it. That’s a good way to describe it I think. So is this work for you now? Is this what you do for a job? I did make Derp Studios a limited company in, I guess around April time, just after Gadget Show Live I think. We are planning to go ahead and make it a business and earn a bit of money from it, which will be nice. Even though it’s still like a hobby it feels but we do want to make money out of it as well. How did you get that to happen? There’s websites you can actually go through to register as a company. It doesn’t actually cost a lot. Well it can build up over time because you’ve got to get all the documents. I used a website called TheCompanyWarehouse.co.uk which is quite good. I actually signed the company up for a pound but you’ve got to pay for other things like helping you with documents and things because there is loads to do to set up a company, more than you’d ever imagine. Do you think Derp Studios will enter the Power Up competition by Microsoft and if you do, do you have any early game ideas yet? We would like to try that. We have been discussing it I can’t really say for certain if we’ll go ahead and do that. I know we do want to make a second project so that will start quite soon. One thing that I have always wondered is why did you end up calling the studio Derp Studios? Oh no, explaining this again! People usually ask that. Well in the early stages we didn’t know what to call ourselves and we were unknown for a while. Because we are all quite new to making games, we kept making mistakes and would say “Oh that’s a Derp mistake”. The most common phrase was “Oh Derp”. So it just kind of went from there. What is your reason for getting into the gaming industry and how do you think getting into the games industry will change your life? Well it’s changed my life already but I have always wanted to be in the gaming industry, ever since I was about 8 or something. I just wanted to give something back really to the gaming community and actually live out the dream of becoming a designer that I’ve had since a very early age. 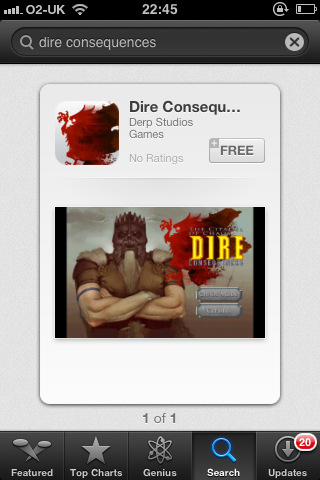 How is Dire Consequences doing on the iOS App Store? Better than I thought it would to be honest. I forget how big the iOS market is. We shoved it out there and we were over the moon when it was actually on sale. We had some quite good reviews but our average rating is 2 stars but I thought we are quite novice still and it is still quite buggy. People have been pointing it out, issues that they would like to see resolved and how we can improve it, which is absolutely great hearing feedback from a customer audience that have actually played it and experienced it, so that’s proven quite valuable. I think in the first week we have had three thousand downloads. That’s Excellent. Thank you very much for your time Chris! Hello, I am here with Jonny Robinson from Milton Keynes, how you doing Jonny? I’m doing very well thanks how is yourself? I’m very good thank you, Could you tell me what course you’re on? I’m on the Games designer course. What is the most dramatic or exciting thing you have done in your life? Winning the Gadget Show, that was quite cool, the Make Something Unreal Live 2012. Pretty exciting times with Epic! What is your reason for getting in to the gaming industry and how will the gaming industry, change your life? I wanted to get in the gaming industry when I was very young, it’s one of those things that I explain a lot to my friends that when I was young I used to put the gaming industry on a pedestal. You know you kind of worship it, you want it so bad but then you realise, I don’t know if I can do that so you kind of dismiss it for years. I then saw this course advertised in the news paper and I thought, you know what – I’ll give it a shot, it’s an online course I can do it in my own spare time and when I actually did the course I felt a lot more confident in myself. I felt I should share my experience with people so I did a lot of Train2Game promoting for the design course because it helped me a lot with my confidence and so really I would say it is one of the best decisions I have ever made so far. After you earn your Train2Game diploma, what would be your greatest ambition in the industry? Obviously get a full time job. I am also working with my team, the Commando Kiwi team, on a new project. I’ll chuck that out there as well, it’s the first time I’ve mentioned it. We are going to put something up on our Facebook very soon. We made a game for the Gadget Show which was “The Warlock Of Firetop Mountain” on the iOS and now we are taking a further step into the industry with the Unreal Engine, as that’s what we won at the Gadget Show. I can’t really say to much but we are on the fronts of making this new game. What platform is the game going to be on? At the moment we are going to stick to our current market and go with iOS but there has been hints with the team for Steam as well. What genre is it going to be? That’s stuff I am keeping reserved, I will let you know the scoop when I am ready to release the information. What is your story, what are the past experiences that have shaped your life to who you are today? Being where I am at the right time I suppose and just keep on striving for success, keep your head up and just keep going. I wouldn’t say anything has altered me, I would just say it’s the path I have been led on, you know, by destiny or whatever you want to call it but so far, if it is so called destiny, it has led me down a fine route, I have met some really interesting people. 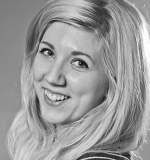 I also know you have a blog to help fledgling designers get in to the industry, what inspired you to start that? I have been doing video diaries for a long time and I know there are a lot of blogs out there like Gamasutra, they make some really incredible articles. I realised that there are not many from a student point of view that’s actually been in the industry and tasted that addiction as I like to call it. You know once your in the industry you kind of feel like an over whelming sense of adrenaline and I just feel like if I need to keep blurting my mind out there to people saying you need to get in this industry, it’s amazing! I’m doing whatever I can as it’s not programming or art its more design and it is a very niche market. I can guarantee you, you ask any designer and you say, what does it mean to be a game designer? What skill sets do you have? Every designer will tell you something completely different and that’s what I am trying to get across in my blogs. You have to be really open minded to be a designer and really blend your key skills to the actual studio themselves. That leads me quite nicely on to my last point, what advice would you give to someone looking to get in to the games industry? First of all, attend Game Jams, that’s the first one. I know Train2Game just did one with Microsoft and I attended one last year that was with Epic. The second I would recommend is trying to talk to people in the community, go on the Train2Game Forums and just generally create games. No one ever says in the industry who have you worked for, they say what experience have you got? If people want to read more about it, where can people find your blog? No problem, thank you very much for your time Mark, Ta-ra! 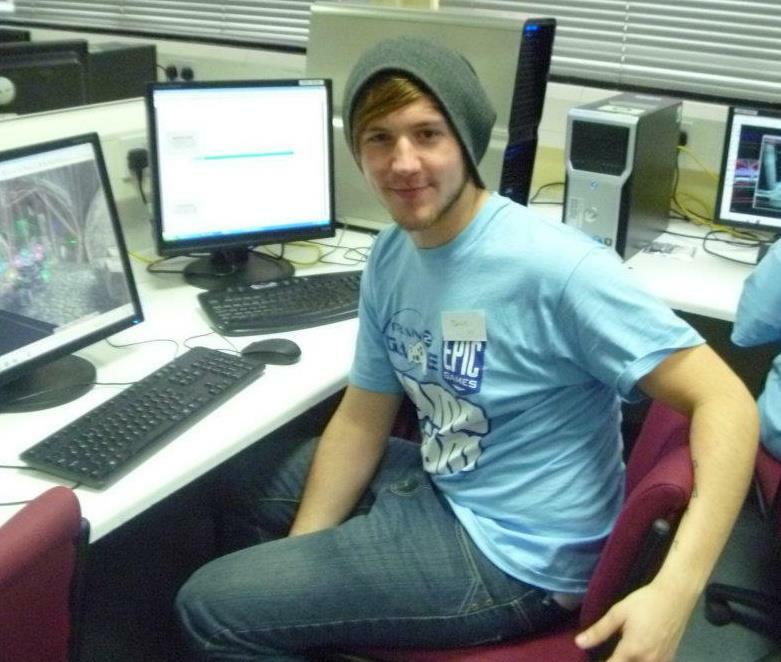 Train2Game Student Jonny Robinson has been writing his own blog. 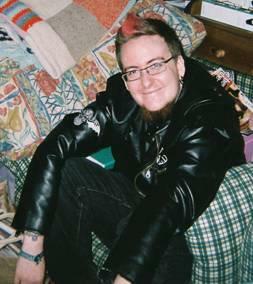 He talks about his experiences on being a fledgling games designer. He covers subject such as his time at DR Studios and his work with Commando Kiwi, the winning team of the Make Something Unreal Live at the Gadget Show Live earlier this year.